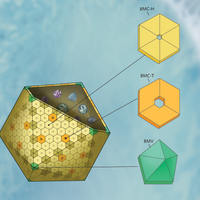 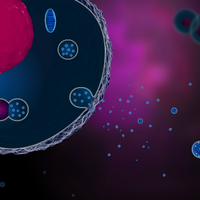 Exosomes are small membrane vesicles secreted by most cell types. 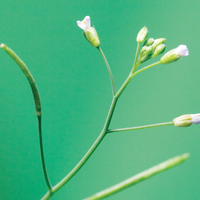 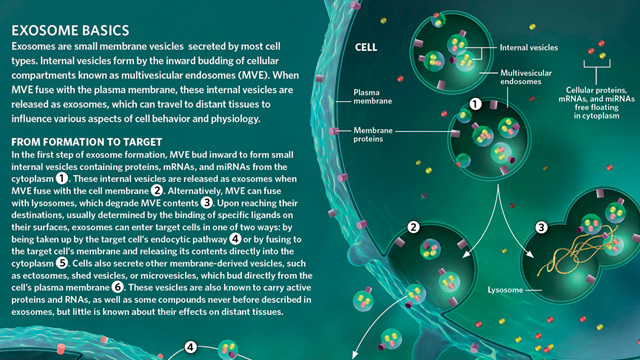 Internal vesicles form by the inward budding of cellular compartments known as multivesicular endosomes (MVE). 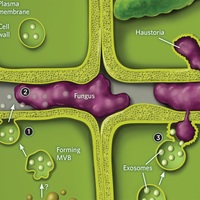 When MVE fuse with the plasma membrane, these internal vesicles are released as exosomes, which can travel to distant tissues to influence various aspects of cell behavior and physiology.